Much needed road repair work on Space Center Boulevard is scheduled to begin on Monday, Oct. 3, Houston City Councilman Dave Martin has announced. 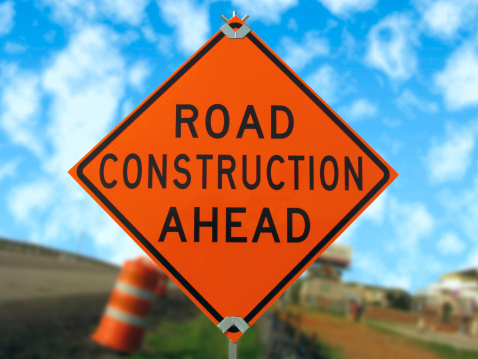 The scope of work includes removal and replacement of several sections of roadway along Space Center Boulevard from Clear Lake City Boulevard to Bay Area Boulevard. Construction is anticipated to be completed by early Spring 2017. The City of Houston’s Public Works and Engineering Department (PWE) plans to start repairs on the southbound lanes first and then move to the northbound lanes. During construction, two lanes on one side of the street will be closed from one median to the next median. Traffic will then be diverted to the other side of one lane in each direction near the construction area. Since being sworn into office, Councilman Martin has been contacted by the community about the condition of this road and has worked with the Public Works and Engineering Department on implementing long-term effective repairs. The goal of this effort is to preserve, as well as to prolong, the life of the road base while providing a smoother riding surface and safety for pedestrians within our community. Although, construction activities behind closed areas may occur from 7 a.m. to 7 p.m., construction equipment movement in the driving lanes will be limited between the hours of 9 a.m. to 4 p.m. One lane in each direction will remain open and the traffic flow will not be impeded during 7 a.m. to 9 a.m. and 4 p.m. to 7 p.m., Martin’s office said. During the project ,drivers should expect impeded traffic speed through the channelized areas. However, there will be access to business at all times. To ensure driver and worker safety, traffic control measures will be in place at all times. The District E office has also contacted the Houston Police Department’s Clear Lake substation to ask that officers monitor the location and provide assistance with traffic control as needed. For more information on the upcoming repairs on Space Center Boulevard, contact the District E office at 832-393- 3008 or via email at districte@houstontx.gov. What is the work that has been going on for months on Space Center on the other side of Clear Lake City Blvd now @Sunrise Lake Dr? What are they doing?